The Internet is too big to ignore the benefits of paid channels. In 2008, Google shared that the web had reached 1 trillion web pages and that by 2012, it had already increased to 100 trillion. 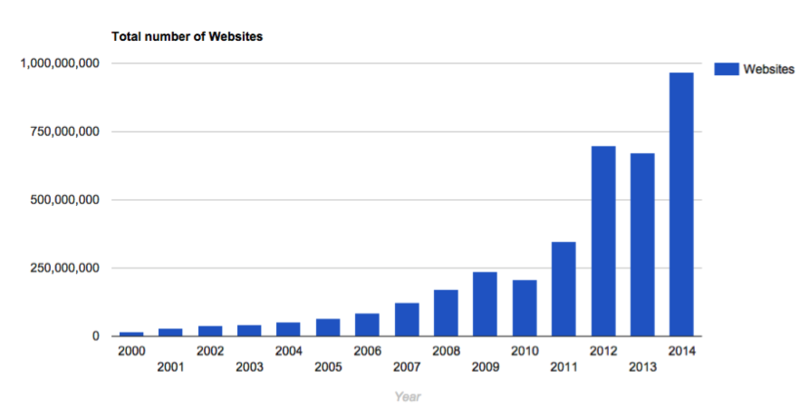 Today, there are too many web pages to count, with over 1 billion websites in existence. Cutting through the noise is more challenging than ever. At the end of the day, it comes down to about three primary marketing channels that we recommend using to generate leads online. Organic: search engine optimization (SEO), inbound and local search. Paid: search engine marketing (SEM), pay-per-click, display/banner, content distribution, and media buying. Social: Both for building organic relationships with your audience and advertising via paid placements. You won’t convert every lead, so learn to rely on a simple conversion rate formula to determine what you can pay. In this scenario, if you convert 1 in 10 leads into paying clients, you’re paying $5 per lead. One great thing about paid advertising is the scalability. If you’re completely unaware of what your client is worth or what an acceptable cost per lead is for you, just start small and slowly scale your budget upward. Because you control your daily and monthly spending cap, you won’t risk going over budget. Unlike offline advertising in which you spend X dollars and hope your audience actually sees it, paid puts your custom message in front of the specific audience you want to have see it. When they want it, where they’ll see it. This makes it easy to manage costs, track conversion, and determine ROI. For example, using PPC for testing can give you the best data for informing other marketing channels—things like true keyword popularity and costs per click. It also provides the best platform for a/b testing and true conversion rate optimization (CRO). Finally, it’s less complicated than inbound marketing is. There are over 200 ranking signals to consider if you’re relying on organic search. This means it can take a long time to see any results. With paid, you can generate results nearly immediately. Your ads are only shown to people who are good candidates for your product or service. You can control where your ads are shown, on which networks, when during the day, and only for the keywords that best describe your offering. For even further targeting, social platforms such as Facebook and LinkedIn allow businesses to pinpoint their audiences even more precisely than Google, Yahoo, or Bing does. By specifying specific persona, demographic, psychographic, and geographic details, you can display your ads to a laser-focused group of people, resulting in better quality leads for your business. Both search engines and social media platforms provide retargeting (remarketing) services. This means, if an interested person visits your website or social page early in the buying cycle, your custom ad will appear on his or her future search results, social feeds, and other various websites within the display network. This positions you as an ultimate brand authority. If not, they will be. Major brands are shifting considerable efforts away from TV and radio, spending those dollars on PPC advertising because of it’s ability to target and more accurately measure ROI. 50 percent of these companies plan to increase their Paid Ads budget next year. If you’re not yet including paid advertising in your digital marketing efforts, it’s worth learning more. As websites become more and more accessible and new companies continue to emerge in your marketplace, the battle for visibility will only increase. Leveraging all channels will be the only way to cut through the clutter and make certain that future customers react to your messages.